Chiropractic can play a vital role in your stress management. Stress is everywhere and constantly combats with our body’s ability to function in a normal state. A common response to stress may be muscle contractions, altered breathing, an increase in heart rate or decreased digestion. 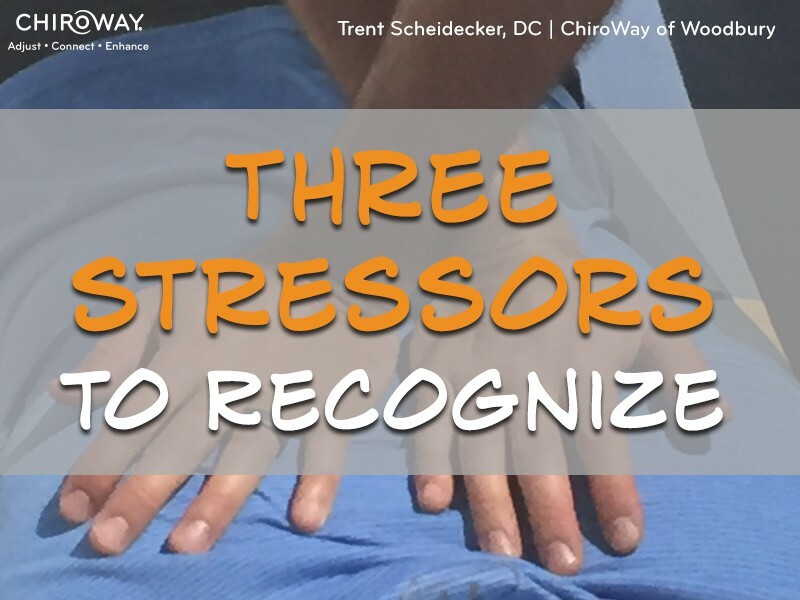 This stress response can cause vertebral subluxation to occur within your spine which may add to the effects of stress and your ability to adapt. There are two options to approach coping with stress: lower the amount of stress that’s affecting you, or, increase your resistance to it. Chiropractic care can help increase your resistance to stress as it can strengthen the body’s ability to adapt to invasive stress by removing nerve interference and interrupting the stress response cycle. The next step in your transformation towards a higher quality of life is becoming more aware of your body and what you surround yourself with. Becoming aware of stress is a positive step towards making better decisions that impact your wellbeing. Emotional: Thinking or experiencing negative or worrisome thoughts can impact your wellbeing. Physical: Constant physical demands can create a negative compound effect on your wellbeing. Chemical: Inhaling, drinking or digesting substances that can create internal damage to your wellbeing. As you become more aware of your emotional, physical and chemical stressors, you’ll begin to appreciate the body’s amazing ability to adapt to it. Sometimes you can’t stop the stress, but you can learn to ride the waves through with routines that make you a stronger you. Chiropractic care, along with becoming aware of your stressors, can help create a higher quality of life. Consider regular chiropractic as one of your stress management habits to enhance your quality of life!